This was something my father had. I have no clue what it is but I’m sure you guys do! Help? Correct - it is a vz38 in 9mm Browning Short (aka .380 ACP). 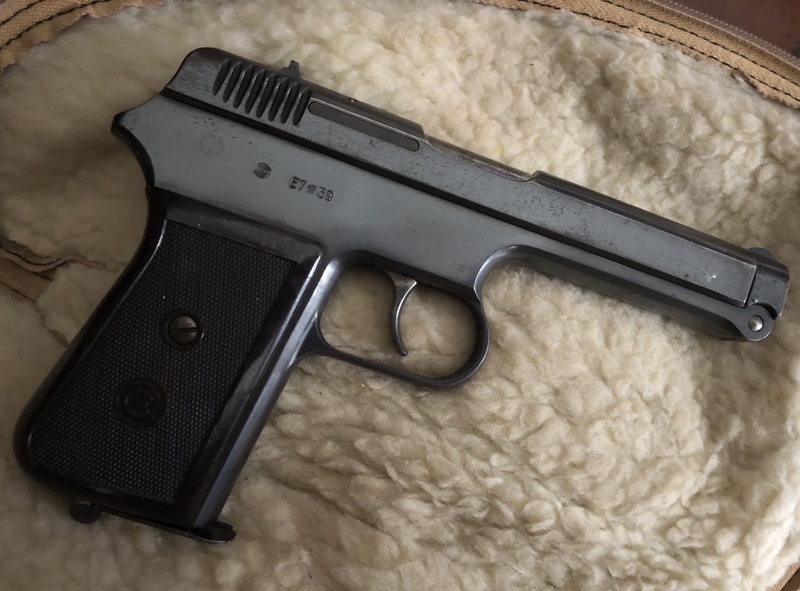 They are one of the less common CZ pistols from the Pre-WWII and WWII years. vz24 and vz27 pistols are much more common. It is double-action only and the magazine follower is the physical hold open for the slide on an empty magazine. It is very easy to open up for cleaning, though. Hiya Batt 57 and thx for the thread. Any stories the gun lived thru worth telling? And I concur its a cz/vz 38. When the contract was fulfilled the Germans occupied the Czech Rep. The pistols went to the Wehrmacht without proofing. If you take the slide off and show us a pic of the interesting tilted barrel. It was the reason for a 'self-dismounting" when a soldier pulled it out of the holster. So your appears in the first 3000 made. Two major variations,according to the presence of a German acceptance stamp. rampart lion on top of slide and top of barrel. Interesting piece, hate to think how many innocents were on the wrong end of the 45,000 made. Be well. Thanks for the information guys. I can’t tell you much about the pistol other than I think my father got it from our next door neighbor. The guy was collector and had a room in his house that had a safe door on it. I have a couple of other old pistols from him as well. One is a Mauser of some type and the other is something I don’t recognize with Cyrillic writing on it. 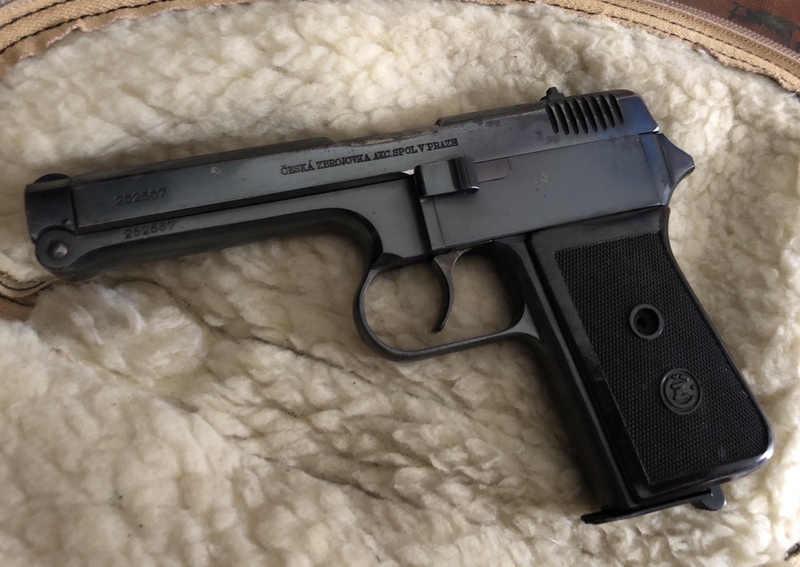 If you post a picture of the Cyrillic mystery pistol, someone here might be able to identify it for you. Part of the fun with online discussion groups is playing "what is this?". I will. It will be another week before I’m back home. You can find some interesting info on this, including shooting, on both MilitaryArmsChannel and ForgottenWeapons. Both provide some good internal looks and explanations and speak of the history of the model’s very brief adoption by the Czech military immediately before the German occupation negated said adoption.